Like any other sports enthusiast, cyclists take their sport just as seriously as every other athlete especially when it comes to the different types of competitive cycling. Cycling can be categorized in distance riding and all-terrain riding. Distance riding is for those athletes that want to compete in racing competitions where their sports equipment has to aid them in speed and comfort design. All-terrain cycling consists of BMX, Mountain biking, or conditions where falling or crashing are a possibility; here the cycling athlete needs equipment that’s going to provide protection as well as comfort and security. Gore Wear has been making high-performance athletic equipment suitable for all weather conditions, for over 30 years, meeting the needs of cyclists with their specialized materials and technology. This cycling gloves are full-fingered, lightweight, windproof and waterproof cyclist gloves with improved grip. They are ergonomically designed and fit one’s hand perfectly through the aid of an adjustable cuff which allows for optimum finger nerves sensation even during rainy and colder weather conditions. Each pair is also equipped with a reflective print logo on the exterior back of the hand as an extra safety precaution for oncoming traffic to be able to see cyclists better with this extra reflector. The thumb is engineered with an extra absorbent sweat pad, and the Velcro around the wrist makes the product easily adjustable and functional. The biggest complaint is that they are running small; to be on the safe side and enjoy your Gore Wear gloves, we suggest buying one size larger. Customers are extremely pleased with the overall dexterity of these especially cold-weather and water-resistant designed cycling gloves. Consumers from weather conditions even as harsh as wet and close to freezing degrees raved about the effectiveness of this product on the racetrack. This Gore Wear gloves is specifically designed with materials and fabrics that are thin, lightweight, durable, windproof, breathable, waterproof, adjustable, warm, secure, comfortable and protective. It is what has been making Gore-Tex technology famous for years. The Velcro at the cuff makes it adjustable and helps protect the hand and the padded sweat point on the thumb from the harsh winter elements. Ergonomically designed to provide the highest fit and function. The gloves are easy to care for as it is machine washable in cold, without the use of fabric softener, turn the product inside out when washing, and do not tumble dry. The handsomely designed Castelli Cw3.1 biking gloves comes in three striking and leather creations. The fashionable and breathable fabric is 10Kmm waterproof in addition to being windproof. This hand shield is fully lined with Bemberg insulation for warmth, comfort, and flexibility along the handlebars. Along the palm, an all-over silicone print and a light padding have been added for extra grip and comfort of the cyclist. Finally, the reflective Castelli screen-print can be seen emblazoned in silver across the back of each hand for clear visibility of riders. All consumers were pleased in function and warmth even in temperatures down into the ’30s and 40’s F; however, it took a couple of people two times to get fit just perfect. Sometimes the product seems too small, at other times bulky, but once it fits perfectly, it’s the ideal sports accessory for cyclists. Cycle enthusiasts rave that Castelli products are of high quality, superior products, and this Cw 3.1 is another example of the company’s excellence. These are the warmest and comfortable, slip-proof riding gear your hands will thank you for wearing. During winter or cold weather you can add a high quality cycling arm warmers to your gear for a guaranteed warmth. Three variations of Red, Black and White make up the design scheme of the Castelli Cw 3.1 cyclists gloves cold-weather, five-fingered, hand guard. Whose palm is padded and fully silicone-lined for extra grip support and slip preventability, the leather exterior Cw.3.1 is also windproof and waterproof and able to provide warmth for temperatures down into the 30 degrees F. A sparkling silver reflective Castelli logo on the backside of each hand adds an extra element of security with extra visibility. Superior quality, comfort, warmth, and style can be found in every pair of Castelli’s. The Giro Bravo LF is a five-fingered cyclist mitt that has been engineered with a three-panel, super fit design created by using the company’s New AX Suede synthetic leather for the subtleness, warmth, and strength you will find in this gloves. Cyclists will be pleased with the 4-way stretch flexibility and the breathable mesh design. Furthermore, the moisture wicking and highly absorbent surface of microfibers ensure slip free, dry hands throughout the ride. Hands will stay comfortable and energized with the optimized gel padding that is strategically placed within the mitt and helps the hand from overuse and exhaustion. A low-key Velcro enclosure finishes of the perfect look of this reasonably priced sports gear brought to you by Giro. Consumers across the board were very pleased with the size and fit of this cyclist gloves; however, some had issues with the stitching coming undone after a few months use and were dissatisfied with the quick wear and tear of the item compared to other similar products. Most cyclists were overjoyed with the value they received for the product that provided terrific padding and comfort during long rides in colder weather. They were pleased with their purchase and would purchase again. Considered by many to be one of the top full-fingered cycling hand mitts for the value of the money. The Bravo LF is gel-padded, provides the Giro’s Super Fit ergonomic pattern, supplies supple comfort with its lightweight 4-way stretch, mesh and AX Suede synthetic leather materials and superior-quality structure at an affordable price. It’s the ideal selection for cyclists who desire a versatile, weightless, full finger riding mitt for the cooler weather and desire the experience of the customary padded protection for the hand. 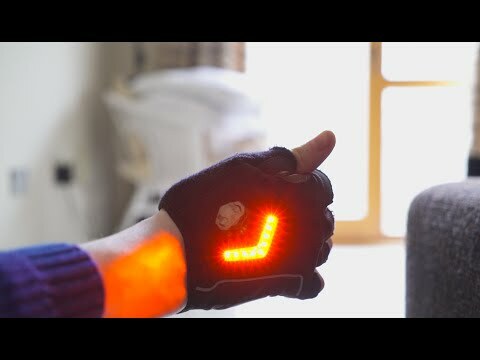 Zackees brings the cyclist the power of the road to his/her hands with these fingerless, cycling mitts that have LED turn signals that are completely rechargeable. The majority of the exterior is made from a breathable, airy Lycra, Mesh Spandex with the palm being covered with reinforced leather, and on the thumbs a separate strip of terry cloth for a wiping point. The rider will find extra shock absorbing foam inside the palm for extra strength and comfort and an adjustable Velcro strap easily adjusts the mitt around the wearer’s wrist. Even though electronics are included, everything is completely washable and 100% guaranteed customer satisfaction. These are ideal for the summer months. The company does make a closed finger pair for the winter months as well. Apparently, the largest complaint amidst consumers is that Zackees is not as waterproof as they claim to be. When out in the rain or after a wah, customers have complained of the lights short-circuiting or corroding and causing skin irritations. Bicyclists are thrilled by the concept of this design and being able to brightly. Light visually display turning decisions in communication to oncoming traffic. Best safety precaution sports gear for cyclists. The safest cycling accessory s now available in three terrific colors. Brought to you by Zackees, you will now be able to signal to oncoming traffic your direction intentions with signaling lights on the back of your gloves. Made of a stretchable Lycra Spandex mesh and Leather Palm that has foam padding for extra comfort. Easy to use while riding, these mitts will quickly become the favorite part of your daily bike ride. The sleek design of the pre-curved, aerodynamically superior Vortice makes it the perfect cycling gloves specifically for racing no matter what the terrain. The thinness of the fabric will ensure the maximum ventilation is reaching the surface of your hand, while also mimicking a second skin so that your hand slices through the air with great ease and precision. The palm is filled with Biogel padding which produces maximum feel and control while also minimizing the fatigue of one’s hand. This futuristic looking black/gray racing mitt includes a seamless wrist, silicone finger pulls along laser-cut, perfect finger holes for smooth and simple removal. All of the cyclists who have purchased this product have been pleased with the comfort and fit of this second skin mitt; although they do advise for anyone seeking heavy padding, these might not be the best suited for that. The Louis Garneau Vortice is a specially designed racing mitt that has been designed with an aerodynamic seamless creation accomplished by using the SpeedTech material, the best aerodynamic material available. Additionally, the company has employed the use of an extra-long cuff supporting seamless laser-cut fingers. Finally, the oversized Ergo Air Concept located within the palms is created to boost ventilation and enhance overall comfort and fit on the race track no matter the terrain. The Pearl iZumi’s are the perfect training cyclists affordable dream of a mitt. The use of multiple fabrics went into the design and creation of these comfortable and supportive cyclists gear. They are padded with 1:1 ratio gel foam that has been identically die-cut to coordinate and harmonize with the rider’s hand’s physiology for perfect and superior support. They feature a synthetic leather along the palm which is both durable and soft allowing for optimum comfort. Included is an inconspicuous, subtle and soft surface located on the thumb. Finally, the hook and loop closing feature of these fingerless riding accessories allows for the perfect fit. A couple of consumers complained that the product did not stand up after several months of use. They complained specifically that the seams around the fingerholes gave way too quickly. However, other consumers raved they couldn’t be happier with their purchase; the comfort, padding, and fit were exactly what they were searching for in a cycling gloves. The Pearl Izumi company’s goal is to provide a solution for riders who frequently complain of hands aching or hurting after a ride. They have presented Select cyclists gloves and support which features : gel foam padding which has been die-cut perfectly to line-up identical to the hand’s formation for the most support a mitt can provide. This fingerless gloves comes in 4 fantastic choices of colors; each with a hidden strip of soft material for wiping sweat or moisture off the rider, located on the thumb. And unlike other brands who offer Velcro closings, The Pearl Izumi offers a hook and loop closure allowing for scratch-free adjustability and the ideal fit. Wears out quickly, would like some reflectors. Craft is a Swedish company and the official sponsor of Spartan Race; they are known for specializing in sportswear with placed emphasis placed on endurance, comfort, and performance in all of their products. The Unisex Siberian biking gloves are full five-fingered mitts made with a wind and waterproof fabric, and a slip-proof silicone design along the palm. The reflective material is optimal for safety for oncoming traffic. They provide a fleece interior which gives the cyclist warmth and extra padding. The thumb has an extra layer of wiping material, and a Velcro adjuster has bee placed at the wrist to prevent the cold air from entering. The perfect apparel needed by cyclists in cold and wet riding conditions. Feedbacks about this product have been positive as expected. Some cyclists who wear mediums usually found more comfort in the larger pair. Apparently, the fingertips have censors for cell-phone use that are optimum for quick taps not typing out messages. Many cyclists were pleased with these specifically as cold weather riding mitts. They retain the heat built up by body temperature keeping your hands toasty will riding. 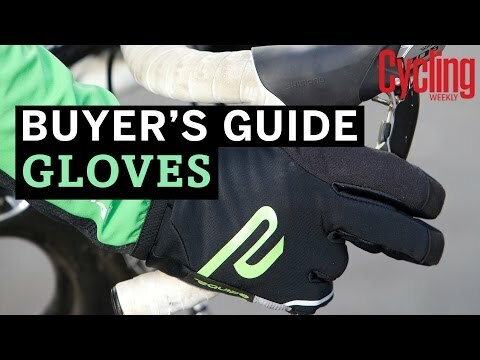 Another bonus found by consumers is while many winter cycling gloves can seem bulky while trying to maneuver the handlebars, gears, and brakes, Craft Siberian are not bulky and allow for plenty of flexibility while still being waterproof, wind resistant and snuggle warm due to the fleece lining. Craft seems to have delivered another superior sportswear product for the cold and wet months where comfort, performance, and endurance are tested on the cyclist track. The fingertips of these bright and easily seen performance mitts include a sensor for use with cellphones as an additional bonus. This product was designed with the safety of BMX and mountain bike cyclists in mind. The back of your hand is padded with Airprene along the knuckles to provide extra safety in that zone, while the palm is designed with a two-ply Clarino synthetic suede material that supplies added protection. Your hands are thoroughly protected and safe no matter what happens. They are also designed to be comfortable and are lightweight and flexible with no loss in dexterity. Drying incredibly fast as a bonus, they will never be uncomfortable even on hot days. The hidden tab fixture closure at the wrists adjusts to perfect fit and prevents any snags with branches or gets in the cyclist way. These gloves were designed for rough terrains where falls are common to keep your hands secure, comfortable, and protected at all times. No serious consumer complaints with this product. It delivers as advertised and you will be pleased with your purchase and the security and comfort it provides. Customers are very pleased with the excellent value you receive from a quality all-terrain cycling gloves. They comment about the comfort, fit, and durability they have found from this product. For almost half a century, Fox has been the front-runner in sports gear and sports accessories for high-energy outdoor sports of all types, especially in the all-terrain cycling. They started designing for Motocross and then continued with BMX, mountain biking, and have even broadened to surfing. This product is perfect to add to any cyclists gear kit. Perfect for both beginners and pros, the Digit Series is crafted to be stronger, lighter, and easy to maintain. Both the back of the hand and palms are thoroughly protected from any falls, scrapes, and possible crashes; with this product, your hand will be safe at all times. Mavic is a company designed to create the optimum in cycling performance sportswear. The Ksyrium is a full five-fingered insulated winter cycling gloves . They are lightweight, and water-resistant, yet are filled with Primaloft sports insulation to provide the highest degree of protection against wet and cold winters. The Ksyrium features an AX suede palm covered in a microdot lamination for secure gripping capabilities while offering protection from skin abrasions. Breathable material covers the 2mm Ergo Pad Ortholite foam padding located on the palms to aid with the absorption of handlebar vibrations and hand fatigue. Long-lasting and durable for many winters, they also include a touchscreen capability for cyclists with cell phones. Length goes beyond the wrist in a demi-gauntlet style offering maximum support, comfort, and protection for the rider’s hands and wrists during the wet and cold winter trails. Hook and Loop closure for premium security. Each pair comes with a 2-year limited manufacturer’s warranty. The feedbacks are in, and consumers have nothing but praise for the Mavric Ksyrium gloves. 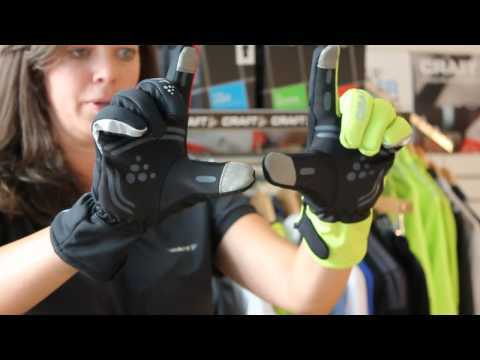 Top quality without any complaints.Consumers rave that the Ksyrium’s are the best winter cycling five-fingered cycling mitts that they have ever purchased and tried. They are simply thrilled with the fit, protection, comfort, and design. When it comes to Mavic’s clothing, sportswear that has the Ksyrium tag is specifically designed with warmth as it’s number one priority. This Ksyrium product is created for cycling on intensely cold days and while Mavric Pro Thermo+ may be a tad warmer, this pair will protect your hands and fingers toasty on chilly winter rides. This product features a synthetic shell that has been conditioned with a waterproof DWR coating. Furthermore, these riding mitts are fully loaded with lightweight insulation by PrimaLoft Sport, which even stays cozy and warm when wet. You will also find a soft, gentle, microfiber material cross the thumb for wiping and extra breathability. These are an investment in your cycling future and as such, come with a two-year manufacturer warranty. Firelion company brings cyclists these unisex multifunctional gloves suitable for all BMX, mountain biking and road cycling conditions. The entire surface of the mitt is designed with breathable material and are form fitting allowing for perfect comfort and flexibility. The palm’s exterior is a synthetic leather that securely covers gel padding which reduces the effects of the vibration of the terrain, relieves and minimizes hand soreness and fatigue and helps avoid stiff joints after a long ride. The Firelion technology has been designed to relieve the pressure of the ulnar nerve which is the cause of hand numbness and soreness. An absorbent and soft microfiber is placed along the thumb to keep the sweat from entering the eyes during a ride. Adjustable straps will be found at the wrist, so cyclists can tighten and stabilize the degree of security and comfort at the wrist. Each pair also comes with touch screen recognition for use with one’s cellular phones. They also come with a 30-day return policy and a 12-month replacement warranty. There were a few consumer complaints that the gel insides did not protect their hands from the numbness as advertised but the fit and design were optimum. The touchscreen fingertips can be sensitive. It seems the gel padding also depends on the rider as other consumers were very pleased by the awesome padding. Several were pleased to report that after a year of use, the product was still in terrific condition. If you are looking for an all-around breathable cycling unisex mitt for a reasonably low investment, these are perfect to try. They offer everything a cyclist on a mountain bike or BMX could ever want, style, comfort, protection, flexibility, and durability. Because of the guarantees and warranty, there is no reason not to try a pair out for yourself. They are breathable, washable, perfectly padded, and designed to be the best multifunctional cyclist gloves to keep your hands healthy and not sore after hours of enjoyment on your bike. Padding didn’t work for some, but worth a shot based on price and warranties. Whether you are a beginning cyclist or a professional racer, most cycling experts will tell you that hand covering are an essential part of your cycling gear. From racetracks to mountain back trails and BMX bumpy trick courses, key elements exist that every mitt should provide which will make your cycling experience all the more enjoyable & safe. Wearing cycling hand coverings of any sort do offer some protection from loose dirt and debris flying up onto one’s hands. In all-terrain sports, there is a greater chance for spilling and crashing, so optimum protection is a must. Cyclists will look for a pair that offers a supportive shell and padding both on the back of the hand and on the interior palm. Remember also that wearing a good arm warmers with cycling gloves can boost your performance as a cyclist. Being able to maneuver your gear is also critical to one’s success in this sport. A cyclist has to be ensured of a firm, slip-proof grip, that won’t falter under rainy or sweaty conditions. Cycling mitts properly designed for your type of riding will prevent blisters, calluses, and aid with shock absorption. The biggest complaint of cyclists is hand fatigue caused from erratic vibrations and poor shock absorbency of one’s riding mitt. The proper padding made for your type of riding will minimize hand and wrist fatigue caused by unnecessary amounts of pressure along the hand’s nerves during riding. Two styles of cycling gloves are used; the no-finger summer mitts and the full five-fingered winter mitts. For summer mitts, you want to have equipment that allows for air circulation while also staying dry is ideal, and winter mitts that provide waterproof, windproof, and extra thermal linings are what to search for during freezing winter months. The value and investment range vary, so whether you are shopping a summer or winter gloves for your cycling sport, you will want to ensure the flexibility and durability of your mitts. Any cycling product should last well over a year, and products that come with warranties are of greater value and quality. Two popular closure designs are ones made by Velcro and the hook and loop closure. Both offer a wide range of movement and security. This decision will boil down to personal preference in the long run. Finally, in all cycling sports, a cyclist wants optimum flexibility. A rider’s mitt should never inhibit movement, changing gears, or reaching breaks. We hope that you find the perfect comfort fit riding mitt for your cycling needs and that our list and buyer’s guide will be an assist to you before you hit the trail with whatever your style bike. If you have a questions or a suggests please comment using the field below and I will answer you ASAP!